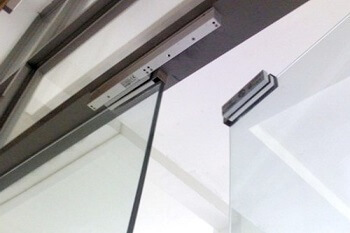 Ease of access while maintaining a secure entry are two things a business should look for when optimizing security, and magnetic door locks offer just that. Here at 858 Locksmith, we service properties in San Diego, CA and surrounding areas with all of your commercial locksmith needs. Locally owned and operated, we provide prompt and reliable service, with our expert technicians having a standard 30 min response time no matter the situation. Further services consists of 24/7 locksmith service from our highly trained lock experts, all of whom are licensed bonded and insured. Our experts have undergone rigorous training, and with our accessible local location, are ready to install and repair at your convenience. We at 858 Locksmith are here to serve local businesses with innovative, state of the art technology through the use of magnetic door locks. Unlike traditional mechanical locks, electromagnetic locks utilize magnets and electricity instead of the usual key in order to provide top notch security. Our well trained lock experts come prepared with the very latest in high tech equipment and tools to ensure that the locking system is installed correctly to keep your business as secured as possible. For locations with constant through traffics, magnetic locks are optimal as there is no need to slow down and use a key. It is why we offer our complete locksmith service at locations such as banks, malls, offices, supermarkets, government buildings, and other commercial or business places. The inventive technology may seem like much at first glance, but with the help of our friendly and well-informed staff, magnetic locks are simple for employees to learn and use in their day to day work lives. In addition, our staff is on hand to answer any questions you may have to make you feel as comfortable as possible about the product you are purchasing as well as the people you are allowing into your place of business. Our expert technicians are licensed bonded and insured. 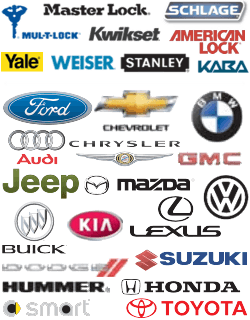 They offer fast and friendly service as they install and repair your magnetic door locks. Our technicians are honest, highly professional, loyal, and are always happy to speak to you on any manner. If, for any reason, your magnetic door locks are in need of repair or even a replacement, please do not hesitate to give us a call. Our helpful staff provides customers with competitive and up front pricing on all of your locksmith needs to allow you to make informed decisions about our services. With a 24/7 locksmith service availability, our lock experts can make it out to your business even in the event of an emergency, and customers need not wait long as our technicians average a 30 min response time. Whether the call is on business hours or on a Saturday night, our technicians are prepped to handle any given situation, so don’t be afraid to give them a call. Why Should You Use 858 Locksmith For Your Magnetic Locks Installation and Repairs? With 5+ years experience in the business, our complete locksmith service offers fast and friendly service to commercial properties throughout San Diego, CA and surrounding areas. Our mobile locksmiths are always available as quickly as possible, and equipped and trained with the latest high tech tools to meet any of your install and repairneeds. Also, if needed, our lock experts will readily replace any security system. Nothing is every hidden as our technicians offer up front pricing so our customers understand exactly what they are getting before they get it. We value our customers to make the decisions they feel are best for their businesses. In the 5+ years we have served the businesses in the San Diego area, we have built a reputation of trust and dependability for our excellent customer service, knowledgeable and well trained lock experts, and swift response time. Allow us to be the company you rely on for your magnetic door locks. Give us a call. Remember: we’re available 24/7. Magnetic Door Locks https://858locksmith.com/magnetic-door-locks/ 4.2/5 based upon 8 reviews.